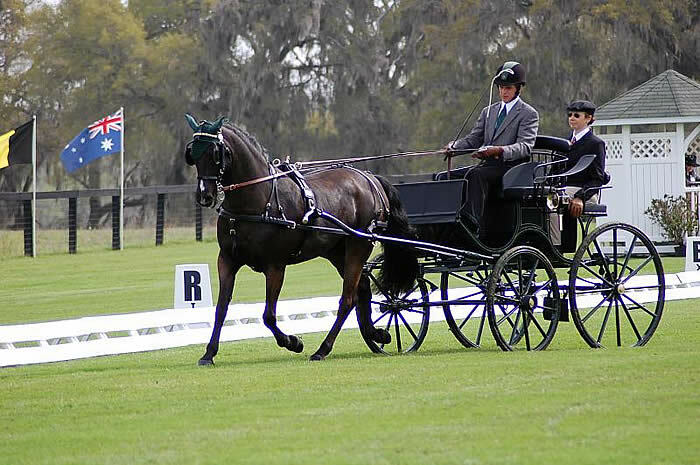 Wellington, FL (November 10, 2011) – Barcida Interagro, a beautiful five-year-old grey Lusitano stallion owned by Cindy Barrera and ridden by Heather Bender, won the Lusitano High Score of the Year Award during the Gold Coast Dressage Association year-end banquet and also rode away with the USEF High Score of the Year for all breeds. 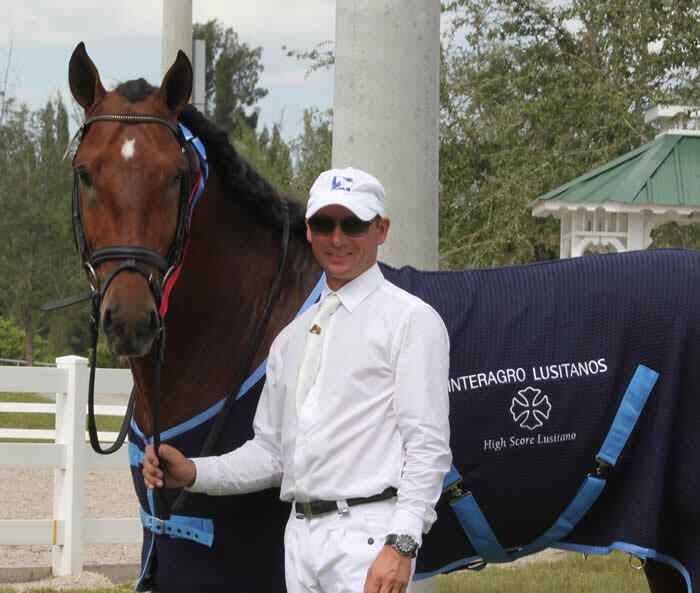 Barcida’s score of 77.200% helped the stallion clinch the prestigious titles. 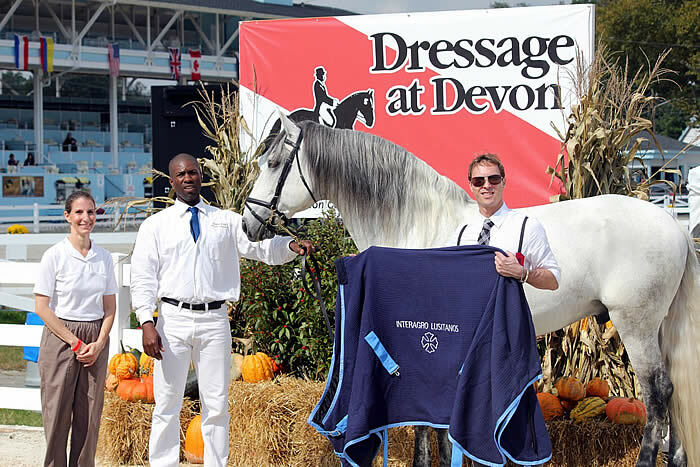 Devon, PA (October 17, 2011) – Suplicio Da Roposa, a gorgeous 12-year-old Lusitano stallion owned by Nancy Himmelblau, captured the High Score Lusitano Award during the prestigious Dressage at Devon Horse Show. 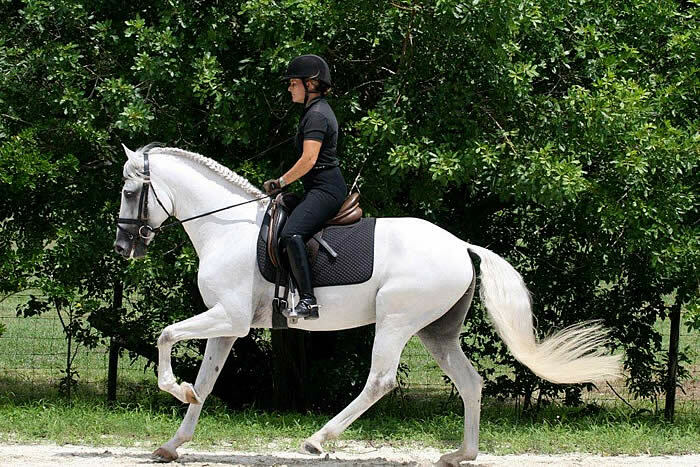 Sponsored by Interagro Lusitanos, the largest breeder and exporter of Lusitano horses in the world, the High Score Lusitano Award recognizes the highest scoring Lusitano during dressage competitions and highlights the dynamic and competitive Lusitano breed. 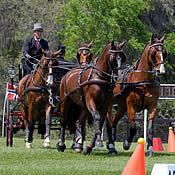 Suplicio earned a 73.7% in the Iberian Horse class in the Breed Division with Bruce Griffin.